The 2019 Bayshore 10K has filled. Please click the registration link to join the wait list. 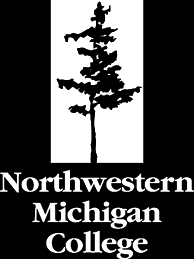 The Bayshore 10K Run starts at 7:30AM on the grounds of Northwestern Michigan College. The course winds through one mile of residential neighborhoods. It then follows the marathon course along the west shore of East Grand Traverse Bay. Runners turn around at about the 3 mile marker. The course is flat, 100% paved and shaded along much of the route. Expect a fast and scenic race. There will be 2 aid stations on the course. Absolutely no roller blades, pets, wagons, baby joggers or other wheeled vehicles will be allowed on the course. Radio/tape, I-Pod, MP3 player, or similar head sets are strongly discouraged. If you are considering wearing headphones please read our notice on the FAQ page The average high temperature at this time of year is 66°F, and the average low is 41°F. The Bayshore 10K course was certified in 2015 and the certification number is MI15018SH. There will be no race day registration for any of the Bayshore races. All 10K runners will receive a short sleeve gender-specific tech shirt. Age group awards will be awarded to the top 3 finishers in all age groups (14 & Under, 15-19, 20-24, 25-29, 30-34, 35-39, 40-44, 45-49, 50-54, 55-59, 60-64, 65.69, 70-74, 75-79, 80-84, 85-89, 90 & Up). Award medals will be engraved and mailed out to all age group winners within 4-5 weeks after the race. Cost: $45 until December 31 2018, $50 from January 1st 2019 to February 28th 2019, $55 from March 1st to April 30,2019, $60 from May 1st to May 19th 2019. There will be a limit of 2000 Runners in the 2019 10K. For more information please visit our FAQ Page, Course Info Page, and Packet Pickup Page.